Diabetics who exercise can trim waist size and body fat, and control blood glucose, even if they don’t see cardiorespiratory benefits, new research by UT Southwestern Medical Center cardiologists shows. Researchers found that waist circumference, percentage of body fat, and hemoglobin A1c levels, a test of long-term blood sugar, all improved in diabetic participants who exercised compared to those who did not. And the beneficial effects of exercise were seen whether they participated in aerobics, resistance training, or a combination of the two compared to a control group that did not exercise. 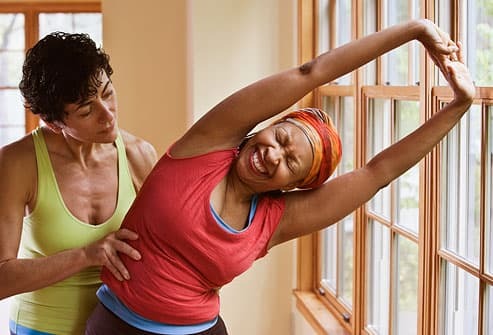 ‘What we observed is that exercise improves diabetes control regardless of improvement in exercise capacity,’ said Dr. Jarett Berry, associate professor of internal medicine and clinical sciences at UT Southwestern, and co-senior author of the study. Following an exercise training program generally improves fitness. Researchers typically measure fitness by the ability of the respiratory system to exchange carbon dioxide and oxygen. The more you train, the better your ability to take in oxygen. But a sub-group of exercisers, considered non-responders, are unable to improve their cardiorespiratory fitness levels despite diligent exercise, explained Dr. Ambarish Pandey, a cardiology fellow at UT Southwestern and first author on the study appearing in Diabetes Care. About 30 percent of exercisers are considered non-responders. 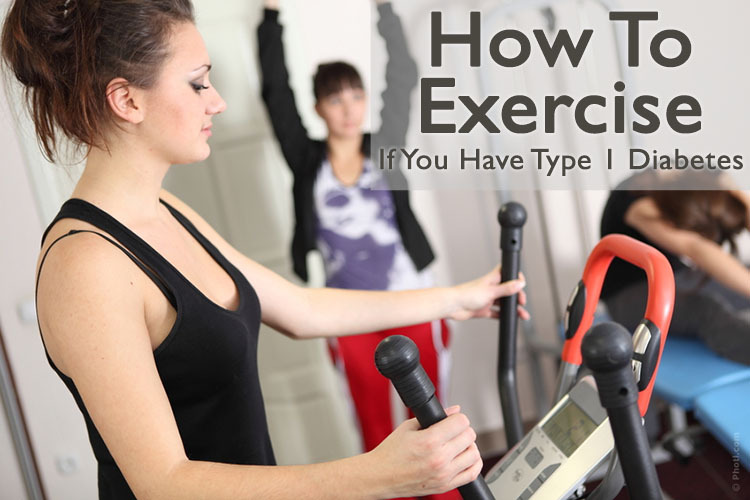 Why does your Blood Glucose go down with Exercise? If you have Type 1 DM, you are very likely to be on intensive insulin therapy to keep blood glucose under control. Even though this keeps your engine running throughout the day, your glucose levels fall rapidly during exercise, when the body burns carbohydrates at a faster pace. You may be thinking - if such an intensive therapy causes problems for me during exercise, why in the world am I on it in the first place? The answer is simple - the tight glucose control afforded by such therapy is very important to prevent long term complications from diabetes. Using data from the Health Benefits of Aerobic and Resistance Training in Individuals With Type 2 Diabetes (HART-D) trial, researchers looked at whether non-responders who exercised saw improvements in their diabetes control. ‘We were interested in the relationship between the change in cardiorespiratory fitness, or exercise capacity, and change in metabolic parameters,’ said Berry, a preventive cardiologist and Dedman Family Scholar in Clinical Care. The UT Southwestern data analysis found that hemoglobin A1c, waist circumference, and percentage of body fat all improved in the groups that exercised, regardless of whether the participants improved their cardiorespiratory fitness. This outcome was true even for those participants who were fitness non-responders ? those whose ability to take in oxygen did not improve. If you have Type 1 DM, finding the right balance between exercise and blood sugar can be a pain. Some people avoid any kind of workout altogether, fearing it might bring the blood sugar levels too far down. But, I implore you to that regular exercise is important to maintain a healthy and active lifestyle, even in Type 1 DM, even if your weight is under control. Careful planning is the key here. Regular monitoring of blood sugar levels, before, during and after any kind of physical activity can help you power through any workout. - Increase in insulin sensitivity: With higher insulin sensitivity, your body will respond better to whatever insulin it produces. - Reduction in daily insulin doses: This follows from the above point. As your body becomes more sensitive to insulin, it requires less insulin to do its job. - Lower chances of sudden increase in blood glucose after meals: Less insulin means your body can’t cope with the carbohydrate overload after a meal and your blood sugar shoots up. These peaks can be blunted with regular exercise. And more importantly, there will be fewer episodes of diabetic ketoacidosis (very high blood glucose + ketones). What’s more, the common misconception that if you are diabetic, you have to work harder to match your friends’ fitness levels, is quite incorrect. Diabetic children and adolescents have similar improvements in their lung and heart functions and their overall fitness as their non-diabetic counterparts. ‘This finding suggests that our definition of ‘non-responder’ is too narrow. We need to broaden our understanding of what it means to respond to exercise training,’ Berry said. The study proposes that exercise-training programs for people with Type 2 diabetes should measure improvements in glycemic control, waist circumference, and percentage of body fat. Other UT Southwestern researchers who contributed to this study are: Dr. Darren McGuire, professor of internal medicine, who holds the Dallas Heart Ball Chair for Research on Heart Disease in Women; Colby Ayers, faculty associate in clinical sciences; and Dr. Ian Neeland, Cardiology Fellow. McGuire reported receiving honoraria for trial leadership and consultation with GlaxoSmithKline, The Medicines Company, Takeda Pharmaceuticals, Novo Nordisk, Orexigen, Cubist, Janssen, Eli Lilly, Bristol Myers Squibb, Astra Zeneca, Boehringer Ingelheim, Merck, Regeneron, Lexicon, and Eisai. The HART-D study was supported by a grant from the National Institutes of Health.